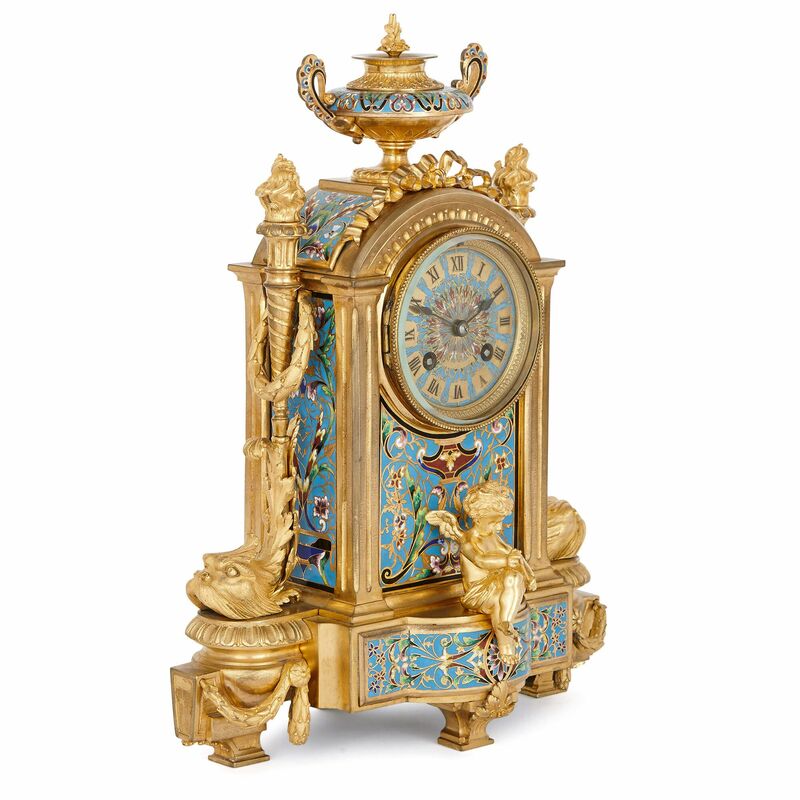 This fine three piece clock set is a stylish piece of design, elaborately decorated with fine cloisonne enamel work and carefully-crafted ormolu detailing. 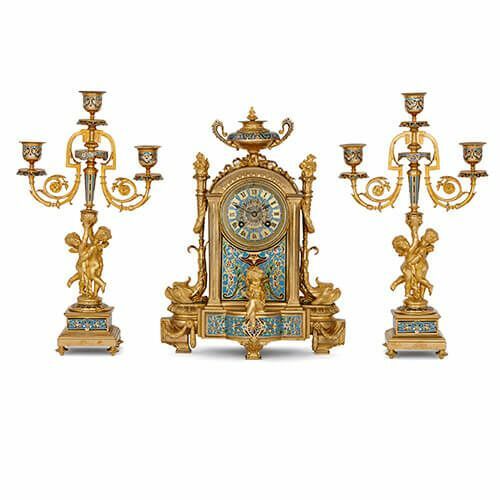 This beautiful clock set dates from the 19th Century, but has a strikingly modern feel to it: it will look splendid in a range of interior settings, whether on a grand Neoclassical style mantelpiece or on a modern side cabinet or table. The set comprises three pieces: a central clock and a pair of flanking candelabra. 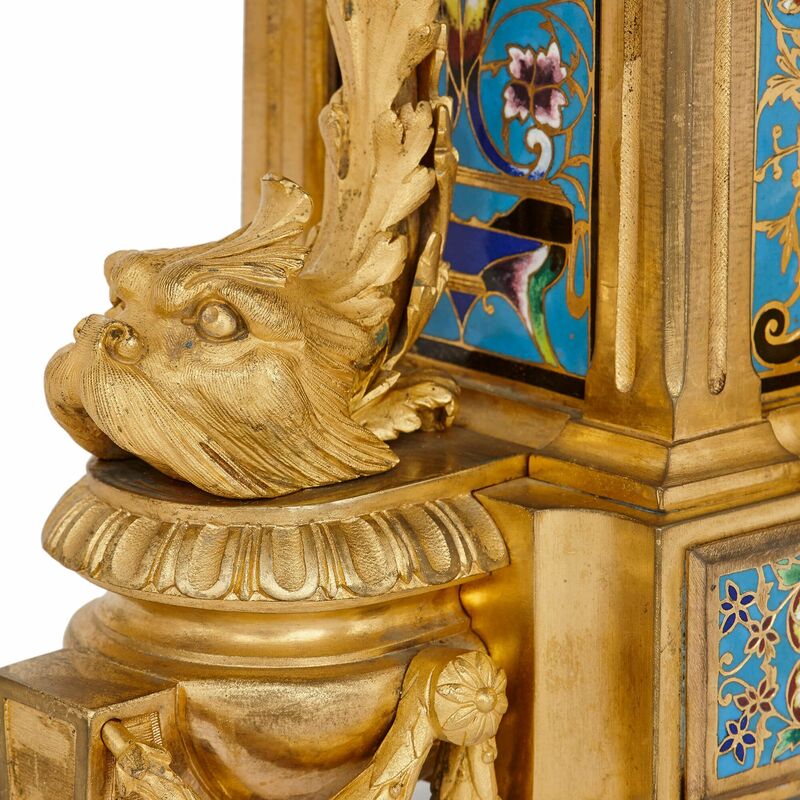 All of the pieces are decorated with panels of cloisonne enamel: that is, enamel applied into the spaces left by a pattern of wires on the surface of the bronze. The enamelled decorations show intricate scrolling foliate motifs in turquoise and green. 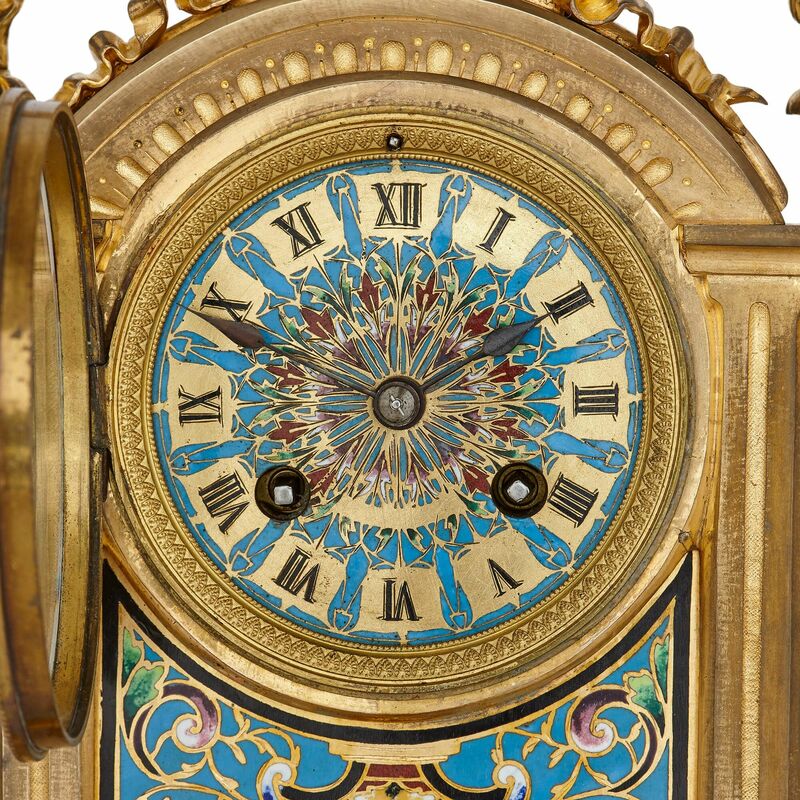 The central clock takes the form of a rounded clock pediment with a central circular enamel dial, surmounted by a Classical style enamelled vase, and flanked by torches. figures of mythical creatures and laurel garlands in ormolu. 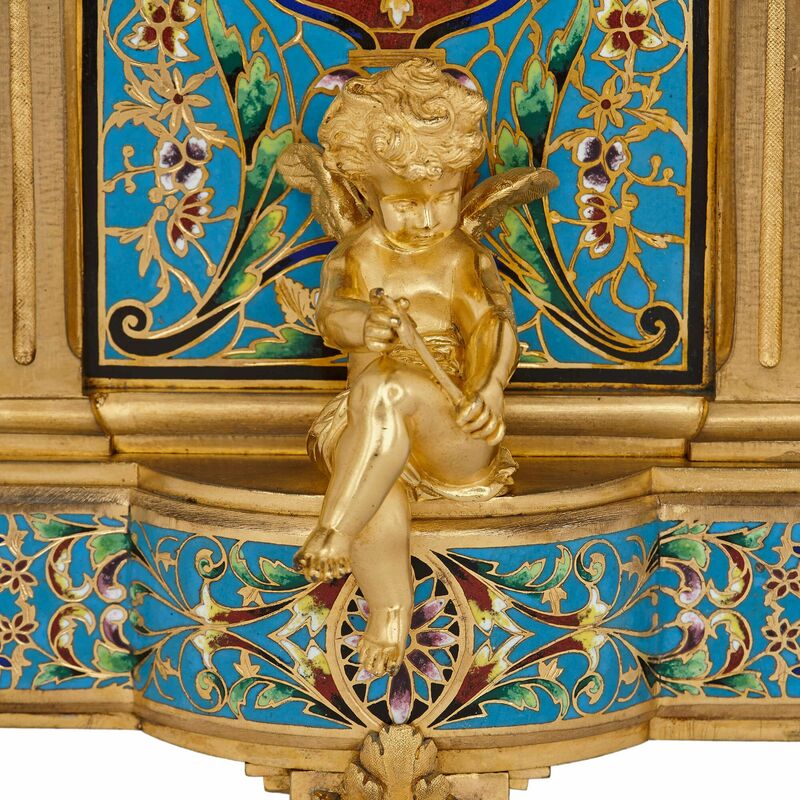 There is an ormolu cherub shown at the front of the clock. 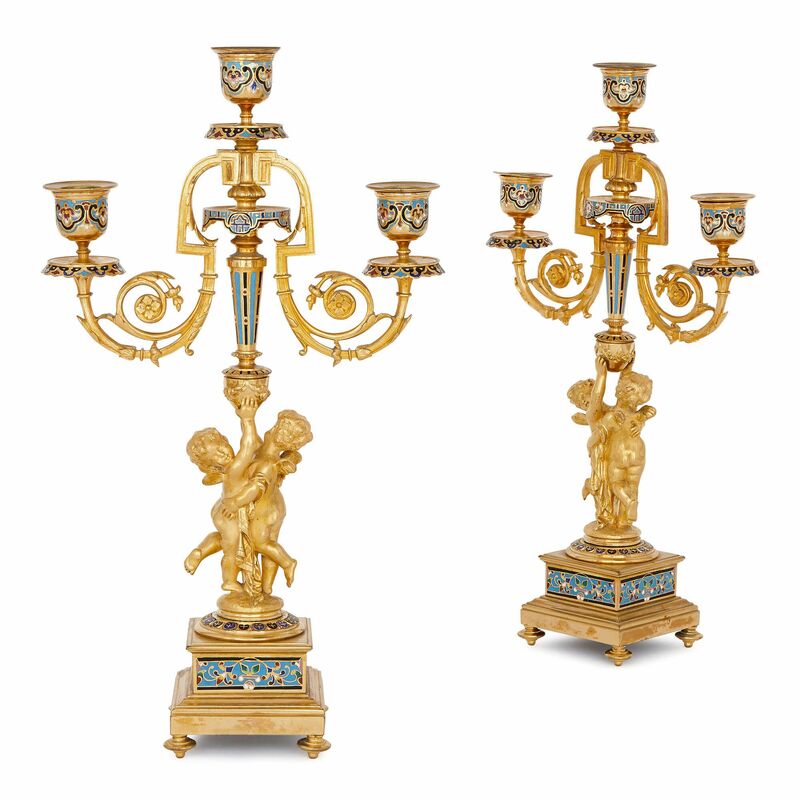 The pair of flanking candelabra are similarly decorated with panels of cloisonne enamel; their three scrolling lights are shown being held aloft by two winged cherubs on a square base. 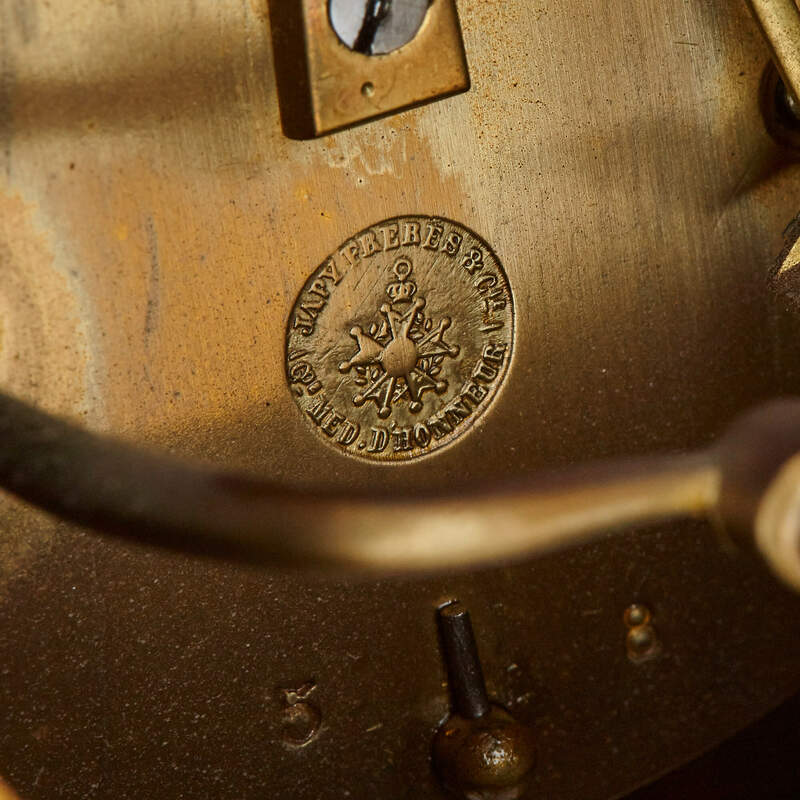 The clock movement is stamped 'Japy Freres', one of the most prestigious clockmaking firms in Paris in the 19th Century.